Project: AK-47 has made dog tags, each one labeled with the name, age and location of an active duty child soldier in Southeast Asia or Mexico. By wearing a set of tags around your neck, you’re representing and advocating this otherwise nameless and faceless child to the world. 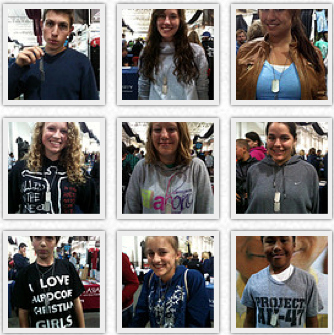 Currently, over 6,000 people have partnered and are wearing their story. Join the protest. Check out the "Wear Their Story" Campaign or PURCHASE TAGS NOW! 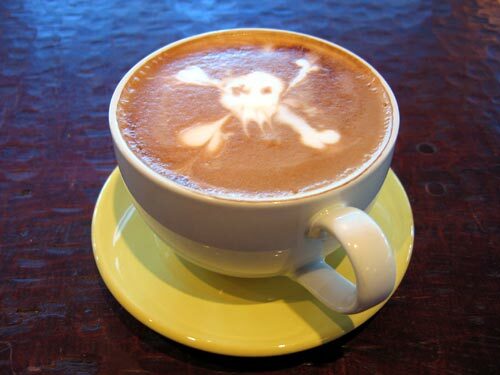 Yes, we’ve all heard “For the price of two cups of coffee, you can…”[fill in the blank]. Well, we’re jumping on that bandwagon because it’s true. We can, in fact, help care for a rescued child soldier for the price we’d pay for a couple lattes. Skip a few shots of caffeine and give just $7/month to care for the basic needs of a rescued child soldier. Use your platform and creativity to give child soldiers a face in the world. Currently at Project: AK-47, we have a community of a couple dozen advocates executing numerous campaigns or projects to create awareness and raise funds for our rescue and aftercare endeavors. If you have a platform, join our community and start dreaming with us of the end of child soldiering in our modern world. Six Bands unite to form the "Project: AK-47 Tour."